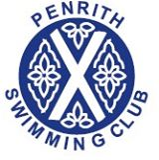 Penrith Swimming Club members travelled to Kendal for the Troutbeck Bridge graded gala. Great performances all round were rewarded with many medals, and there were also some personal best performances. Penrith swimmers who took part are pictured above.